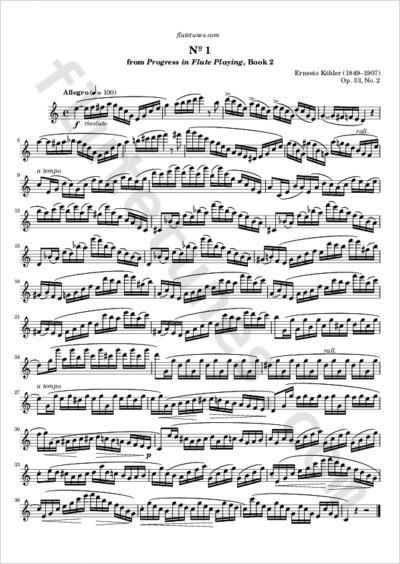 This étude is the first piece from the second book of Italian composer Ernesto Köhler's Progress in Flute Playing, Op. 33. The same work was also published in Germany as Der Fortschritt im Flötenspiel, and in France as Le progrès dans l'art de la flûte.